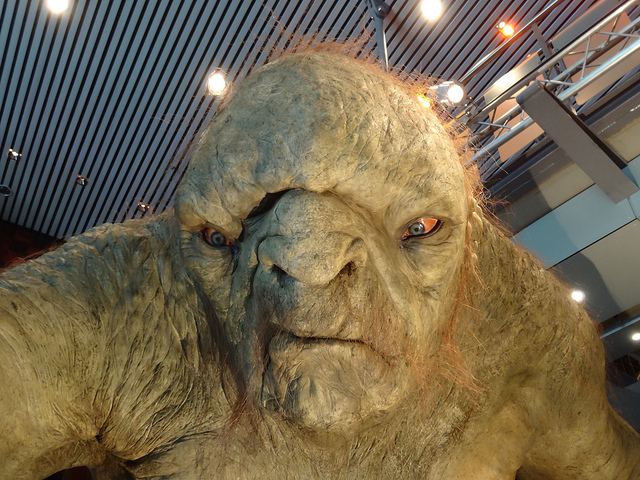 If you use live-streaming, live-broadcasting platforms like Meerkat or Periscope (which is my personal choice – and what I will refer to henceforth) you know all about attention-seeking trolls. They appear unannounced – delighted with their own power to disrupt or offend and throw a broadcaster a little (or a lot) off guard. Troll comments can ruin a broadcast with their impromptu, and often off-color, or downright inappropriate, utterances. Watching people tune into your broadcast is a lot of fun! Reading and receiving comments is part of the appeal of live smart phone broadcasts. Social media is all about being social, and feedback from your viewers is an exciting part of the engagement process. What if your broadcast was terrific? What if you want to keep a permanent archive of selected broadcasts? Or create your very own Scopes on Demand? Perhaps you have shared something rather informative or entertaining and want to hold on to it – email it out, embed in your website or share out on social media. I’ve discovered that Katch.me is a great way to keep and share (optional) your archive permanently! It is free and easy to use and connect your Meerkat or Periscope broadcasts. So, I created the free account, and now, by default, all my scopes, inferior as some of them are, go straight to Katch.me for safekeeping and for further scrutiny and review. Maybe I will keep some, delete others, or disect the video for a 6-second Vine, a 15-second Instagram, b-roll footage, or who knows what. With Katch.me I now have options! One of my earlier scopes, about useful tools and tips to make your scoping experience easier, was going great, until 5 minutes in, when a troll visitor made inappropriate comments. I had my phone on a tripod, filming myself holding up gadgets and such, and did not see, and therefore did not block, the comments that came in from this nasty piece of work. There seems to be one in every crowd. I won’t elaborate, but it was disgusting. What a creep! So for the 65 people or so who tuned in, they saw the comments live. In my oblivion, I thought I had recorded a winner. Alas, I had to I trash the educational scope and removed it from my Periscope archive – all because of that one nasty bit of chatter. Even if I had monitored the comments live, which is more typical, the comments would have appeared in Periscope’s archive for at least a second or two until I blocked the nasty bloke! Since I had recently connected my Periscope account (already connected to Twitter) to Katch.me, I checked to see if I had any options on that platform to salvage my broadcast. On the Periscope archive, the comments normally float up over the scene you are are recording. In the first incarnation of Katch.me, comments appeared off to the side as they did with my troll-tarnished scope. It’s a nice touch that the first version of Katch.me offset the comments for a clean view of the recording, yet visible in order to understand the context of broadcaster’s narrative as they respond to incoming feedback and questions. However, the comments, good, bad and vulgar, were still present. Yes! Line-item delete capability! Bye-bye trolls! Katch.me improvement Version 2 showed comments off to the side, with a nice “X” by each commenting viewer account name. Simply delete the offending troll, and your broadcast is now suitable for the web! 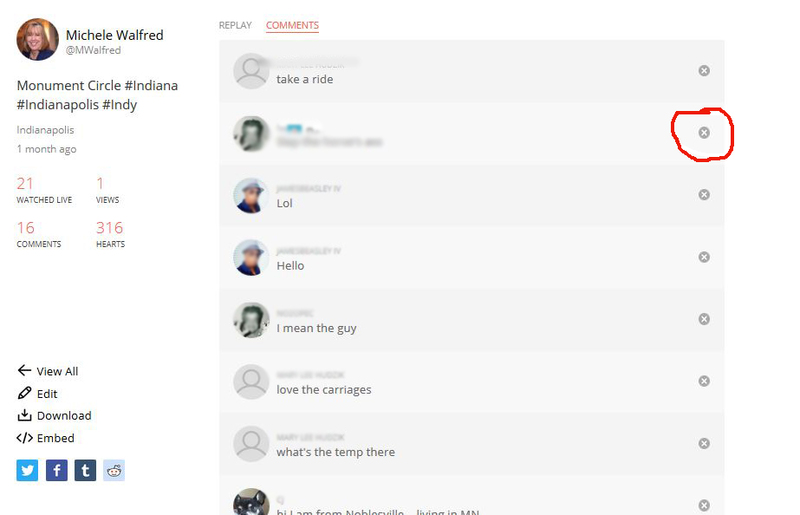 Katch.me improvement Version 3 completely separates the comments from the broadcast with tabs. See above. When a scoper (is that a word now? I think so!) downloads the video broadcast, the comments will not follow along with the recording. This eliminates all worries about trolls, but it does take away the interactions and engagements and therefore what is said by the broadcaster might not make sense in a later replay without the comments there to provide context. With this second update, Katch.me leaves the comments for viewers on a broadcaster’s Katch.me archive page to read. 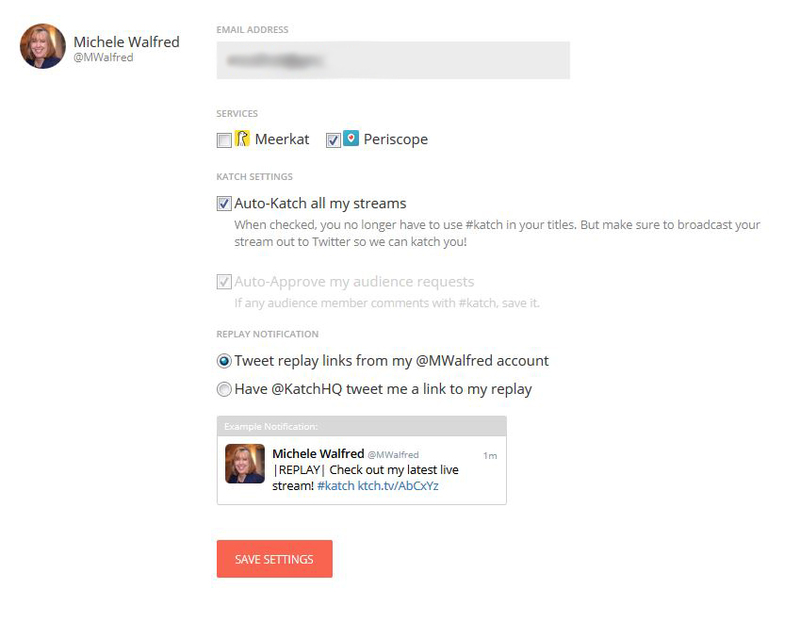 As a Katch.me account holder, broadcasters can choose to make their broadcasts public or private and have their portfolio at their disposal. Best of all, when a broadcaster receives an inappropriate or offensive comment, they can now line-item delete! That is a HUGE improvement! While on live Periscope, I have options. I can block the offending troll, but seconds of the troll’s comment will appear before I deny the troll any further due. I can also choose to restrict comments to only those I follow. I’ve tried this safeguard technique after the first zinger, but it left me with limited engagement and feedback. To my way of thinking, it defeats the purpose of Periscope. If I want to do straight videos, I have YouTube for that. Periscope is and should remain edgy, informal, spontaneous and unique! Most broadcasters, whether using Meerkat or Periscope, know what the deal is with live-streaming broadcasts. There are risks involved. You are inviting the rest of the world to your momentary slice of the universe. Periscope (and Meerkat) is a spontaneous and live platform and that is exactly what I love about it. Scopes are in the moment. They are unpolished, somewhat flawed, and yet terribly authentic. These broadcasts, be they pro or amateur, convey real stories! I can handle childish comments and overt self-promoters very well. When I am scoping personal content, like watching airplanes take off at an airport, or touring my garden, I am far more tolerant of trolls. I am not that easily offended. I am a grown up girl, I can handle it! And I can give as good as I get! But, and it’s a big “but,” if I am using Periscope for work — to showcase impressive 4-H youth, or shine the spotlight on the good work of Cooperative Extension, or hope to offer content that I feel might be helpful in an educational or professional capacity, then I want a broadcast that is both respected and respectful. Thanks to Katch.me, I now have full control of my content! I have felt the same way – Periscope+Cooperative Extension= A Winning Combination. Thanks for your insights about the troll..